The Court, a documentary by Michele Gentile and Marcus Vetter. To many, if not most, the International Criminal Court (ICC) still looms like an impenetrable institution where the decisions made and actions taken in The Hague subsequently reverberate around the world. This isn’t to say that it’s a murky world but rather that it remains a rare and privileged opportunity to glimpse how decisions at the Court are made, what life in the halls of the world’s first permanent international criminal tribunal is truly like, and what really makes the Court’s staff – from the judges and prosecutors to the investigators and defence lawyers – tick. 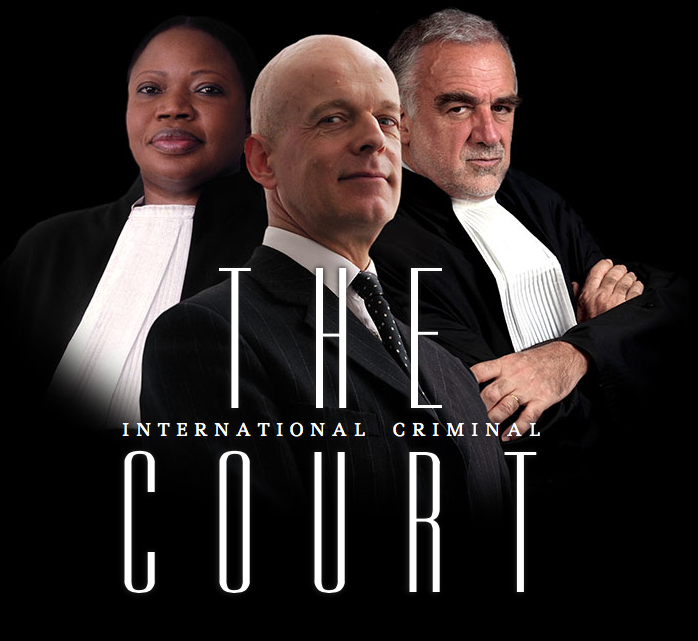 Remarkably, over a decade after its creation, there have been very few efforts to shed light into the turbulent political and legal world of the ICC. There is no ethnography of the Court. There isn’t even a biography of the Court’s first Prosecutor, Luis Moreno-Ocampo. As a result, very few people understand how the International Criminal Court (ICC) truly functions. Three years after dedicating much of my time and energy to this subject, I still don’t. ‘The Court’ does many things effectively. Directors Michele Gentile and Marcus Vetter brilliantly and brutally juxtaposes the horrors of violent political conflict with the sterility of international criminal justice. In one frame we witness a woman being carried, a massive flesh wound on her thigh; the next, we watch Moreno-Ocampo preparing coffee and biting into a pastry. We witness a child being ripped apart from his family before shifting to scenes of banal Court proceedings. We hear the tortured cries of a Palestinian man who has just seen his daughters killed in an Israeli air raid before the film cuts to Moreno-Ocampo leaning back in his chair and pondering out loud whether or not he can investigate alleged crimes committed in Palestine. One might criticize the film for how it decontextualizes the violence and brutality portrayed throughout the film. It is rarely clear against whom the violence portrayed is being waged, who the perpetrators are and where the violence is being done. Yet these scenes are also a subtle reflection of the way in which international criminal law itself decontextualizes the causes and dynamics of violence and conflict. But, above all, what the ‘The Court’ offers is a unique glimpse into the life and work of one man: Moreno-Ocampo himself. During his tenure as ICC Prosecutor, Moreno-Ocampo was a lightning rod for controversy. He was dogged by allegations of being overtly selective in his cases, for playing fast-and-loose with the law and for often speaking off the cuff, saying the wrong thing at the wrong time. He was also vociferously defended as having ‘put the ICC on the map’ of international relations, of establishing a permanent interest in in the functioning of the Court, of making the ICC a relevant institution. Yet very few know what Prosecutor Moreno-Ocampo was truly like, how he made decisions and how he confronted the political challenges he faced. ‘The Court’ paints Moreno-Ocampo as someone who could more accurately fall somewhere between the person that his harshest critics and his greatest champions have made him out to be. On the one hand, we see in him a sincerity and integrity towards the principle that he must serve justice and victims by faithfully adhering to the law. We see that the ICC is not his employer but his mission. On the other hand, we see Moreno-Ocampo chastised for less-than-professional behaviour during the Lubanga trial by Judge Adrian Fulford and witness an embarrassing moment when he is corrected by a young staff member over his view that childhood is a human right under international law. Yet more striking than the moments in which we witness Moreno-Ocampo’s gaffes and his convictions are those scenes where we witness how human he is. We watch him drive himself to work, at one point expressing frustration at turning down a street blocked by a garbage truck and, in another, hanging up on Deputy Prosecutor Fatou Bensouda after being warned by police officers not to drive while speaking on his cellphone. We watch him respond to numerous media requests alone, without guidance or a team of staff providing speaking points. We even watch him play Angry Birds. More than anything, we witness his struggle to juggle a life in which he is being pulled in different directions by a diversity of actors with divergent interests. Sure, how Moreno-Ocampo deals with this struggle isn’t always flattering. But we see to what extent one man defined the first nine years of the ICC. Moreno-Ocampo says at some point in the documentary: “I am not the actor in your film.” Yet from his perch as the ‘world’s prosecutor’, he had to invent much of how the Court functioned from scratch and, in doing so, forever shaped how it would be viewed by the outside world. Towards the end of the documentary, Moreno-Ocampo tells the film-makers: “You understand now the bigger idea.” In truth, after watching ‘The Court’, it is unlikely that anyone would understand “the bigger idea” or international criminal justice. One of the film’s greatest strengths is that it sheds neither a positive nor a negative light on the Court. But we can better understand the tenure and life of a man who was, more than anyone else, the face of international criminal justice for almost a decade. In doing so, ‘The Court’ makes a significant contribution to our knowledge of the politics of international criminal justice. For that, this documentary deserves acclaim. This entry was posted in Fatou Bensouda, Film, ICC Prosecutor, International Criminal Court (ICC), International Law and tagged Documentary, Luis Moreno-Ocampo, The Court. Bookmark the permalink.